R. Bleich and R. Meiselman both attempt to answer this, but in brief words that seem designed more to obfuscate than elucidate - after trying for a while to wrap my head around the cryptic contrivances, I just gave up. Quote those words here, perhaps? Maybe we can take a stab at them. "though R. Bleich does insist that it can't be disproved!" After all most people believe without question the myths of our present culture, like people landing on the moon, or the twin towers falling down from an aircraft flying into them, or ISIS carrying out terrorist attacks in Europe. I don't think halocho takes things at other than face value. I assume your use of the word "myth" in the context of the present culture is used in jest. There are other scientific issues that have had varying understandings over the years you could have used as examples rather than resorting to conspiracy theories, as it undermines your point about Chazal. Not sure what Rabbi Slifkin thinks he is accomplishing with this sudden rehashing of old material. That's an amazing post. So Rabbi Meiselman claims that any animal that reproduces out of sight is aino para v'rava, and can be killed on Shabbos? All animals that give birth in burrows and dens and underwater? Also, I didn't see that you addressed the sources that R. Slifkin brought in this post - the ones that he said R. Meiselman keeps avoiding. So I guess you are a true talmid of R. Meiselman! Just checked things out over there. So your position is that the reference to the salamander is not to what we call a salamander, but to some other non-natural creature? I hope you realize how absurd this sounds. According to you, there is a creature that we know to be the salamander, which the ancients believed to generate from fire, but which we now know does not generate from fire, and that Chazal would have known that this creature did not generate from fire. 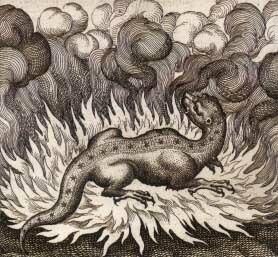 In addition, there is another creature entirely, which Chazal also call a salamander, which was created from fire, but was non-natural. If this is your position, I understand why you shut down your blog. "R. Bleich and R. Meiselman both insist that when Chazal said that lice do not reproduce, what they meant was that lice do not reproduce in a way that is visually detectable. Halachah does not take into account microscopic phenomena, and that's what Chazal meant." I think this is a very tenable position. If we ignore those particular authors' context. Halakhah indeed does not take the microscopic into account, so when they speak of the realia behind a din, that is indeed what they meant. They may have meant it because they thought nothing microscopic was indeed happening -- but that's irrelevant to us. The dragon or dirt-mouse stories could very well have been "if so many people can believe X, why can't you believe Y?" whether or not either of the parties involve X. Again, your investing this much effort discussion whether or not R Ami actually believed such rodents existed is inconsistent with your own belief that R Ami's statements aren't valued for their ability to teach us about such things. By your own position, harping on about what Chazal didn't know scientifically is focusing on irrelevancies. Rabbi Abraham ben HaRambam rejected the Talmud’s medical advice, so why can’t we simply reject spontaneous generation? Dear Zoo Rabbi, do we have any idea what Chazal were thinking when they claimed that salamanders came from fire? I mean, the ones I used to catch in summer camp in the Poconos came from the lakes and streams. What could they have been referring to? if "Halacha does not take into account micorscopic phenonema" (according to these illustrious Rabbis) then why does the chareidi world get into a frenzy about checking fruits and salads with microscopes, totally ignoring the plain fact that nothing can be seen with the naked eye? Who is this Charedi world? Do all Charedim have microscopes at home? Because nobody that I kbow owns one. there are no microscopes. as far as light boxes and loops, they help *recognize that which the naked eye can *see. Is the peshat of this not simply talking about contracting or remaining pure, based on whether you touch the decayed part or the intact part of a rotting mouse? Where is there any room for interpretation that this is talking about a *species* of mouse rather than the *state* of the mouse? No no. Read the sources. Regarding the "microscopic" interpretation of the lice Gemara, I've always wondered: is the procreation of lice truly harder to observe than the procreation of every single species that one may not kill on Shabbos? Aren't there lots of small insects? Are lice particularly small? R. Slifkin, I'd be curious for your input on this because of your vast zoological knowledge. Are lice particularly hard to see, compared to other non-microscopic insects? Would there be a legitimate reason for Chazal to have singled out lice on account of their size or visibility, even if they were not believed to be spontaneously generated? And your last sentence sums up the whole discussion brilliantly! "The force of habit dulls the sense of the excitement that one should have upon seeing any form of life, but one feels excited when presented with rare, unusual species such as an elephant, a monkey, a mouse that is half earth and the adnei hasadeh". 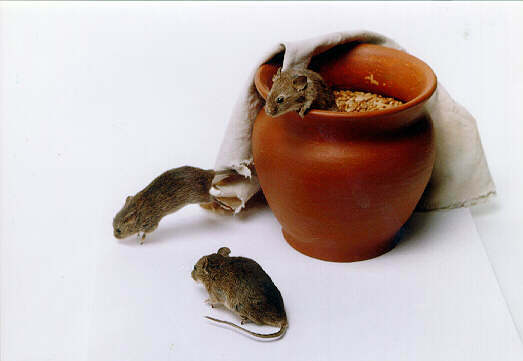 The Chazon Ish (Rabbi Avraham Yeshayahu Karelitz 1878-1953) clearly regarded Sanhedrin 91a and Chulin 127a as proof of the existence of mud mice. For the umpteenth time, there is a difference between physical and legal reality. At 17 years and 364 days old you are not allowed to purchase real estate or firearms, vote, serve on a jury or in the military, etc. The next day you can do all of these things. You did not magically become emotionally mature enough to do these overnight, it is a legal line, and it need not correlate with anything physical. On the halakha end of this, there is minimal difference between today and tomorrow on a physical level, but if today is Friday, we are literally willing to kill you for doing the exact same things tomorrow as you are doing today. Similarly, if you declare your intention to donate a sheep to the beit hamikdash, your legal interactions with the sheep have changed drastically despite the sheep remaining both unchanged and oblivious to the whole proceeding. Given that we draw lines between physical and legal reality in Judaism such as between shabbat and chol, hullin and heqdesh, etc., what is so unsavory about saying that this established legal reality does not correspond to physical reality? It's completely unobjectionable, so long as you acknowledge you're doing it. All 'categories' (halachic or scientific) are created by humans and therefore only correspond more or less to reality as we perceive it. The problem is what do you do when chazal clearly based their Halachic categories on their pre-existing scientific categories and now we know that their scientific categories were wrong. You are a wealth of knowledge and information. The tanchuma you quoted about the "fire creature", which is used in many places, compared to the protection Torah avails your from the "fires of hell". You think they meant to be taken literal? You think that they intended to teach what they thought was a recipe for a firman suit mad of salamander blood? Seems to any honest reader as allegory. I think you have drifted from your normally straight and scholarly way with that quote, to attempt prove a mute point. May you continue to open up the arms of the Torah for all of our people.